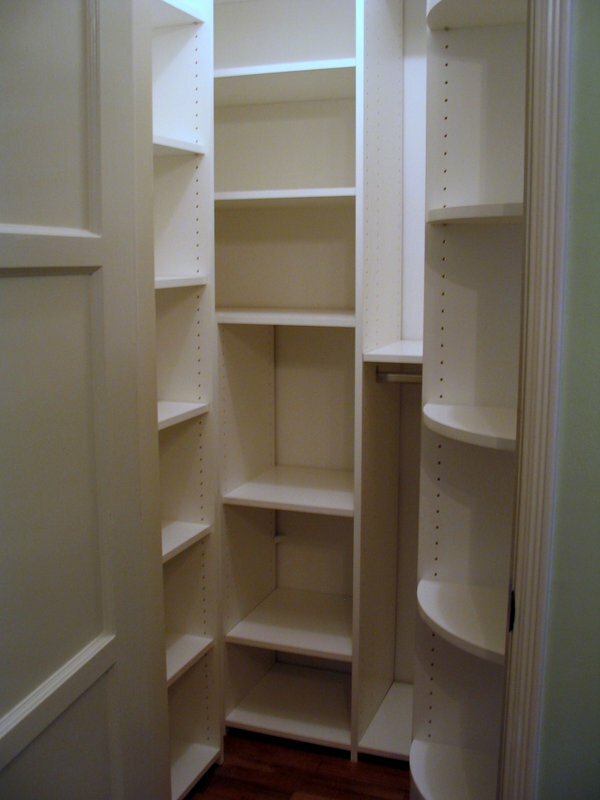 Here is an example of a very small walk-in pantry with a design that squeezes as much usable space in as possible. Curved shelves help with entry issues and a closet rod is used for table cloth storage. Adjustable shelves can be set for required heights of boxes and appliances.